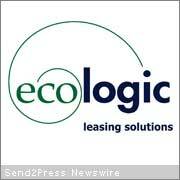 SAN FRANCISCO, Calif. and WASHINGTON, D.C. — Ecologic Leasing Solutions announced today that it completed the acquisition of Captara Corporation, a San Francisco, Calif.-based lease management software company, which had been Ecologic’s main competitor. “Captara software enables users to easily plan and manage their corporate equipment lease portfolio. We were most interested in their lessor marketplace functionality that allows busy treasury and procurement professionals to compete lease transactions by simply creating an RFP and sending it to over 200 lessors. They can then quickly and easily analyze the lease proposals on an apples-to-apples basis and make the best financial decisions for their company,” said Michael Keeler, CEO of Ecologic. Both companies provide web-based software and outsourcing services for managing the equipment leasing process throughout the lifecycle of leases, assets, and lender relationships. Financial terms of the deal were not disclosed. Captara was founded in January 1999 as PureMarkets Corporation. In August 2004, PureMarkets changed its name to Captara as it transitioned from serving as an on-line portal for equipment lease transactions to serving large corporations in their leasing portfolio management. Ecologic gained control of Captara in a financial transaction that was completed on June 1, 2007. However, Ecologic did not move to fully integrate Captara and announce the acquisition until the recent settlement of ongoing trademark litigation against Captara. Captara’s clients and staff were fully integrated into Ecologic’s operations in December 2007. The software services integration is expected to be completed on schedule in Q3. Captara clients should not experience any interruption in service. Ecologic provides a comprehensive suite of services for the reporting, control, and management of all corporate leases and assets delivering visibility, scalability, compliance, rapid payback, and sound financial decision-making to lessees. Fortune 500 companies deploy Ecologic’s software and outsourcing services to save 5-20% on their equipment lease portfolio, reduce lease turn-around time by up to 85% and scale to meet their financial performance objectives while ensuring audit compliance. Founded in 2000, the Company is headquartered in Northern Virginia, with offices in Montreal and San Francisco. For more information, visit: http://www.ecologicleasing.com.